SocietÃ Sportiva Lazio, commonly referred to as Lazio, is a professional Italian sports club based in Rome (Lazio), most known for its football activity. The society, founded in 1900, play in the Serie A and have spent most of their history in the top tier of Italian football. 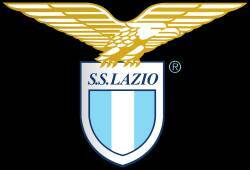 Full name	 Società Sportiva Lazio S.p.A.
Cartella Sport/Soccer/Soccer Teams/SS Lazio is empty !